Organic SEO has come a long way since the early beginnings of Google and nowadays the number of options to promoting your website in the digital world has increased significantly. Social Media & PPC changed things, or did they? If ten years ago you would have owned a website and you were looking for options to invest in digital marketing, the choices would have been limited: you could have opted for SEO or for Adwords, and that was about it. Currently, if you want to promote your website, you have many other options to choose from and many social media platforms with hundreds of millions of users each month where you can advertise your business . Facebook, Instagram, Twitter, LinkedIn, Pinterest , and the list goes on and on. With all of these social media options available, one may wonder why should I be still investing in SEO? Why should I spend money on it? With all of those social media options available, which enable you to target a precise audience for your advertising campaigns and with Google Adwords campaigns, who needs SEO? But there is something you are overlooking. Regardless of what you might have read or heard, one thing is for sure, organic search engine optimization will not go away any time soon. Trust us on that. We are not saying that just because we are experts at offering SEO packages for small business, because we also provide Social Media Marketing services and Google Adwords campaign management, so it doesn’t really matter to us from that perspective. We are saying that search engine optimization is far from being dead because that’s the actual case, and ignoring it can impact your business negatively. 1. It’s productive and it works. The first reason is also the essential one: SEO still works with a good ROI level. Google constantly improves its algorithm including Social Media metrics and other updates; however the classic SEO techniques of improving a keyword ranking have not changed at the core because they still bring results. If you invest in organic search engine optimization and you offer an intuitive user experience you will climb up in the SERPs and organic traffic will increase. 2. The ROI level is higher. Social Media is important for your image and PPC drives in revenue, but what are the monthly costs for those two? 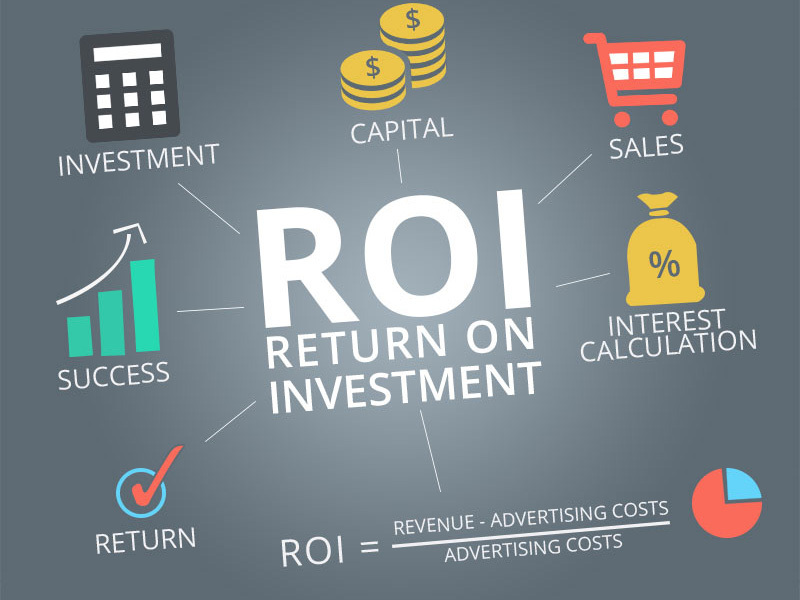 Comparing the costs and the results driven, SEO has a pretty good ROI when done right. What happens if one day you decide to end your SEO campaign? You will still obtain organic traffic and this is one of the many reasons why SEO should be seen as the solid foundation of your online presence. 3. People use search engines every day. With all the influx of information we receive from Social Media platforms and from other digital sources each day, search engine usage didn’t decline. In fact, it’s just the opposite – the usage has increased and, here is the reason we at HED Solutions believe why: abundance of information can lead to confusion and uncertainty, ultimately to not knowing what is real and what’s not. There is a term that has been used for this: “fake news”. What happens when you don’t know if a piece of information is true or not? You research. How do you make your research? By using a search engine to get more information on the subject. That goes for businesses and services as well. Frequent use of search engines will always be around ,especially that mobile devices now enable anyone, anytime from almost anywhere to search any query they might have online. It is here where you should have an effective SEO campaign running, this is why you want your website to be above the competition. 4. Your competition uses SEO. So if you are not constantly moving forward others will surpass you. It’s like walking on the street and suddenly stopped moving, everyone else would pass you by. It’s the same with Search Engine Optimization, a process that shouldn’t be stopped because if you do, your competitors will outrank you and your website will be left behind. Catching up is always more difficult than keeping the pace. There aren’t many businesses which can afford to catch-up or succeed in the process. Budgeting an on-going, organic SEO campaign is more essential than ever, even if organic keyword traffic and data can be challenging. If you want to succeed with your online marketing, a SEO strategy is a must as it currently is and will remain for as long as online marketing is around, the key component for having a visible website. You can look at SEO as the foundation of your online presence, with SMM & PPC as auxiliary components, which are not to be neglected as they have a significant importance as well. Finding the right budget to balance SEO, SMM and PPC for your online marketing campaign should be a goal in itself and will determine the online success of your business.